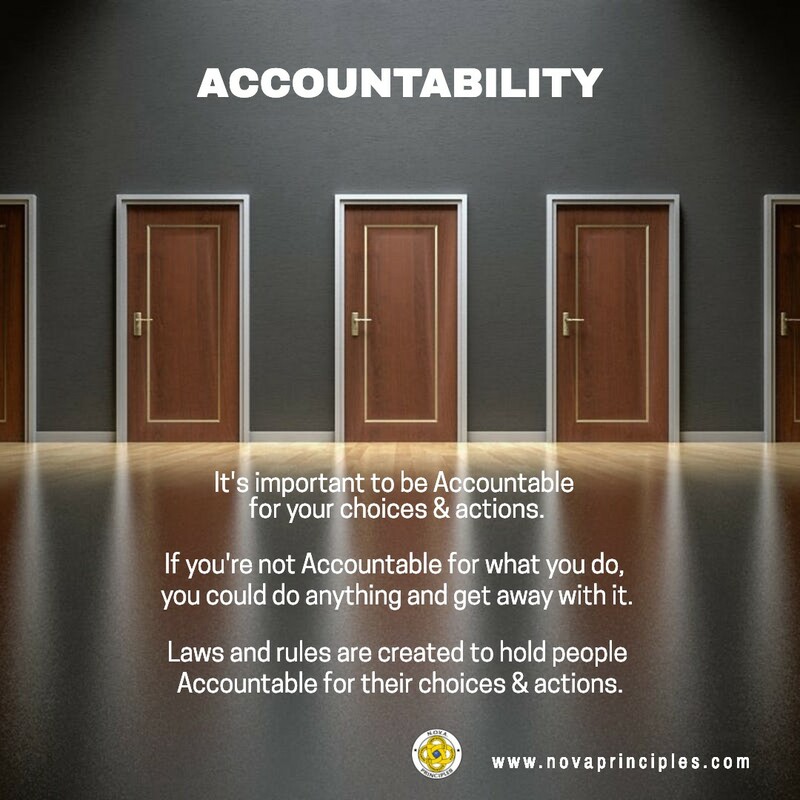 This lesson discusses the “O” in N.O.V.A., Opportunities (Good things that come your way), and the “A” in N.O.V.A., Accountability (Taking responsibility for your choices and actions). Students are asked to memorize these definitions as they now become “N.O.V.A. Challenge” questions. The “N.O.V.A. Challenge” is an opportunity for students to win a prize when they answer from memory the correct definition of a N.O.V.A. Challenge question. The purpose of the N.O.V.A. Challenge is to help students remember and internalize the N.O.V.A. Principles being taught to them. 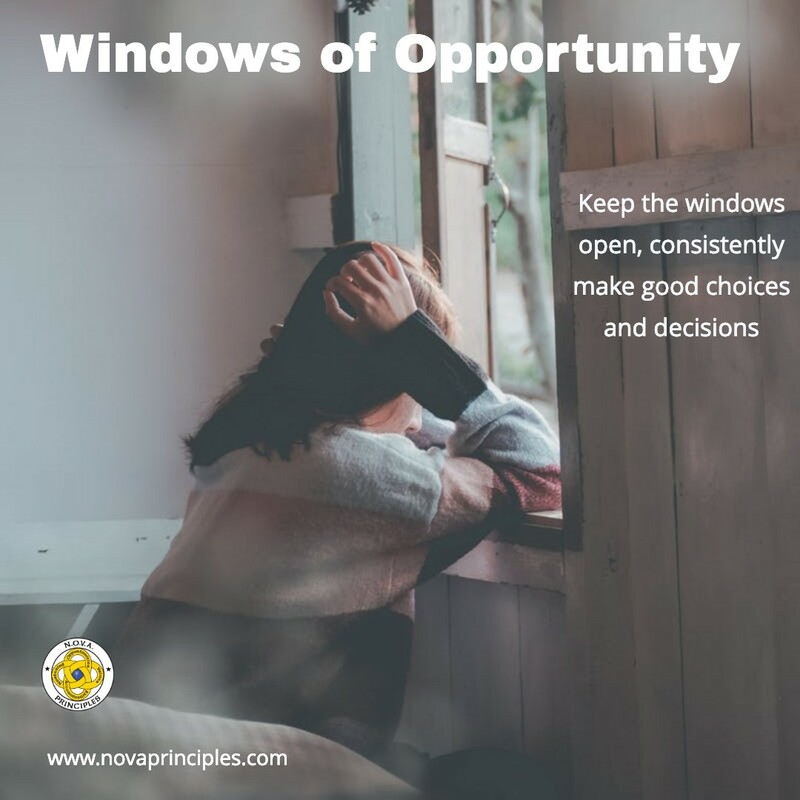 Students are taught that if they want the Windows of Opportunity in life to be wide open to them, they need to constantly and consistently make good choices and decisions. 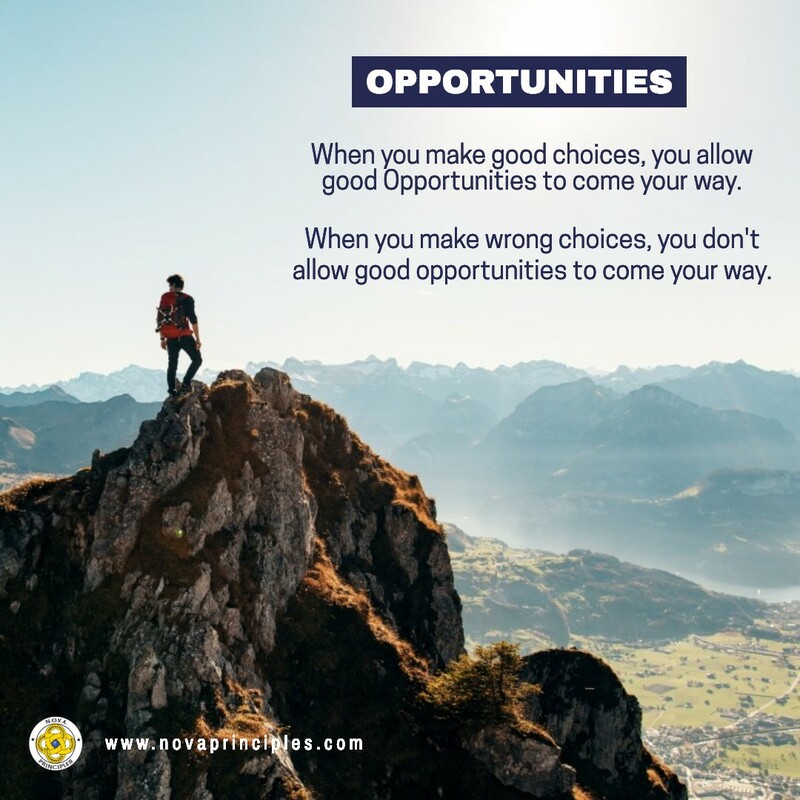 They are taught that when people make wrong choices and decisions, their Windows of Opportunity start to close, and that when this happens it will become difficult to get to their Path of Excellence and become successful. Students are taught that society establishes Laws and Rules to hold people Accountable for their choices and actions. It’s explained that if there were no Laws and Rules, people could do anything that is harmful and wrong to others and get away with it. For this reason, it’s important to have Laws and Rules in order to hold people Accountable for what they do. The first two N.O.V.A. Principles are taught, namely “STS” (Study the situation), and “Cause & Effect (When you do something or don’t do something, something happens). Students are asked to memorize the definitions of these two Principles as they become new N.O.V.A. Challenge questions as well. These two Principles help students realize the importance of thinking first before they make a choice or decision. When we “Study the Situation”, and think about the “Cause & Effect” of doing something, or not doing something, it gives us the Opportunity to make the best possible choice. In other words, “Think before you do”. There are two active learning lesson games in this lesson that help students understand the importance of making good choices in order to keep our Windows of Opportunity wide open, and to reinforce the importance of using the STS and Cause & Effect Principles to make the best possible choices and decisions. Next week, you will receive the next lesson summary.